Teach children about Africa culture by researching these indigenous peoples Africa. See pictures of some of these native African tribes, their villages, clothing, necklaces and more. Then make your own African drum, African necklaces, and African bowls. 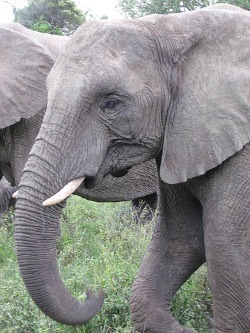 Ready for an African adventure?! 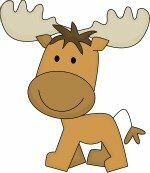 Or I guess we could say an African Safari! Africa is famous for its Native African Tribes. We love to hear stories and see pictures of people who are different than us. The indigenous peoples Africa are different than us here in the US. Many tribes wear colorful south African clothing and some tribes wear little or no clothes at all. There are hundreds, if not thousands of African tribes, each having their own south African languages, African folk tales, customs and traditions. We can't begin to list them all here, but we have listed a few tribes under the countries they are located. It would be fun to look at an Africa outline map to see where each tribe lives in the vast continent that is Africa. The Maasai have been know to be fierce warriors. 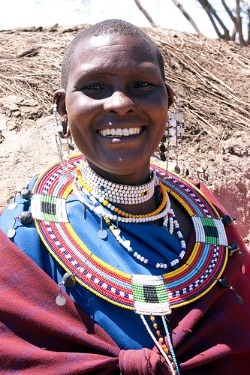 This Massai woman has on a beautiful necklace. Learn how to make your own Massai necklace. Massai woman photo by Kiwi Vic. 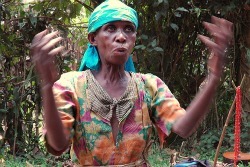 This is an elder from the Pygmy Batwa native African tribes. Older people are called elders and in most native tribes, elders are considered very wise and are respected and looked up to. 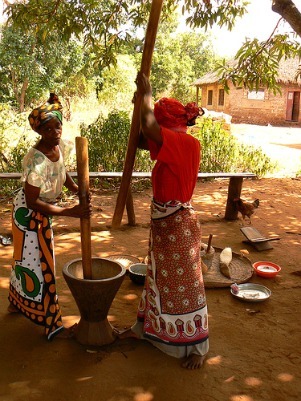 These are women working in a Swahili village in Mombasa, Kenya. This is a picture of a mother with her child. They live in a Bushman tribe in Botswana, which borders Namibia. 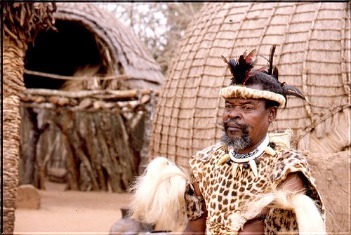 This is a Zulu Chief in his village. The Zulu Chief picture is by Pluca.